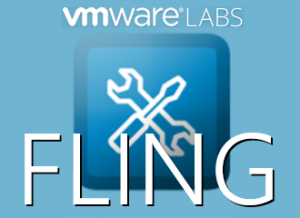 Most of you know the VMware labs and the flings they produce. Some flings are so good that they become part of a product. Some of them are good but remain a fling. Some of them are only useful in a handful of cases. It’s a challenge to keep up with all the tools and flings that are released, updated, removed, fixed and moved into a product. So here’s an update on a number of new tools and flings I think you should take a look at. So, the first one actually isn’t a fling at all. It’s the vCenter Support Assistant. It’s not really new either, but I’d still like to point your attention to it. When working with customers I notice the struggle when VMware’s support is asking them to upload logbundles. Some don’t know where to find them, some don’t know how to read them. That’s where the vCenter Support Assistant comes in. vCenter Support Assistant is for free. The Appliance is build on VMware’s Photon platform, so the OS layer is as thin as it can be to make sure you don’t waste any of the resources. It requires 2 vCPU’s and 2 Gigs of RAM next to up to 250 Gigs of diskspace. It works as a vCenter plugin to do it’s magic. Sends proactive alerts and recommended fixes. Automatic notifications within vCenter Server make you aware of problems within your environment and recommend solutions. Transmits configuration and usage data automatically. You can configure vCenter Support Assistant to collect configuration and usage data, regularly transmit them to VMware, and automatically match them to a dynamic list of known problems. vCenter Support Assistant sends the collected configuration and usage data directly and securely to VMware without third party interaction. Configures data collection times. You can set the collection frequency and transmission time to minimize impact on your system’s performance. Sends monthly status emails. Monthly emails summarize the status of problems within your environment so that you can track problems over time. Allows you to file support requests from vSphere Web Client. You can create and submit support requests for any vSphere product for which you have purchased VMware support. Note: You can file support requests by using vCenter Support Assistant, if you have purchased support directly from VMware. Collects and attaches diagnostic information to support requests. You can generate support bundles for vCenter Server and vSphere and automatically attach them and other files to your support requests. Allows you to view existing support requests. You can view the status of your existing support requests, add comments for VMware Technical Support, view email exchanges, and upload additional diagnostic data or files. So, as you can see, VSA can save you a lot of time and maybe even save your environment once in a while. 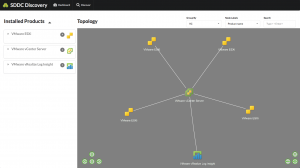 Here’s a real fling with a functionality you might actually expect to be in vSphere: IOInsight. IOInsight shows you IO statistics per VM. Every infrastructure has its own “noisy neighbours” as our former CTO used to put it. That one or few VMs that create a lot of CPU load, network traffic or storage IO and complaining users accordingly. With IOInsight you can monitor the behaviour of that VM and adjust the configuration fitting to its needs, rather than guessing based upon the rough statistics vCenter gives you. 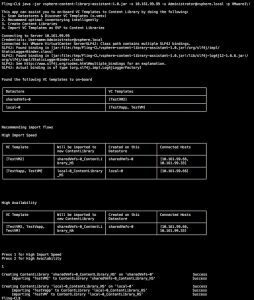 From the makers: IOInsight captures I/O traces from ESXi and generates various aggregated metrics that represent the I/O behavior. The IOInsight report contains only these aggregated metrics and there is no sensitive information about the application itself. In addition to the built-in metrics computed by IOInsight, users can also write new analyzer plugins to IOInsight and visualize the results. A comprehensive SDK and development guide is included in the download bundle. So, if need be, you can write your own plugin to monitor whatever you want IOInsight to monitor coming in or out of your VM. That is, if you want to. One small downside to IOInsight; it does use quite a bit of resources for such a small fling: 4 vCPU’s and 16 gigs of RAM. It needs that to process the information you feed it quickly. One upside to that; it does work with all currently supported vSphere releases, that is v5.5 and up. We’ve all been there: vCenter Upgrades. At first most of us thing “ah well, how hard can it be”. That is, until you start thinking about it. Are my hosts compatible? What vc plugins do we use? Can our backup solution work with the new vCenter? Questions on questions pile up and you are looking at a massive investigation in no time. This is where the vSphere Compatibility Predictor can help out a bit. It’s a Windows based app that scans your Platform Service Controllers and from there makes an inventory and a scan of your entire environment. After that you can do a what-if scenario. From the makers: This Fling scans all PSCs connected to a single PSC. It will detect the versions of all the vCenter Servers connected to PSCs and all the Solutions connected to vCenter Servers. It will then depict the connectivity in pictorial form. When you choose the Upgrade View in the Fling, it will show which Solutions are compatible with vCenter Server 6.5. This can help the administrator plan the upgrade in advance. It runs on Windows 8.1, 2008R2 and 2012 and can save you a lot of time and misery. A bit like the previous flink the SDDC Discovery Tool creates an inventory of everything you have in your environment. It does this by logging onto your vCenter using supplied credentials and running down the configuration tree. The tool is not quite as accessible as the previous one. This is written as a JAVA server you need to start manually on your host and log on from your local host using a webbrowser (remember to deactivate that local firewall!). After start it requires the hostname or IP address of the vCenter server and logon credentials. When supplied, it starts its inventory job and creates a nice map of your enviroment. It can also question multiple vCenters so you don’t have to start it over and over again. It runs on Windows, Linux and OSX/MacOS, as long as you have JAVA VM installed. Apart from that you only need UNZIP and commandline access. Maintaining anti-affinity rules can be challenging, right? 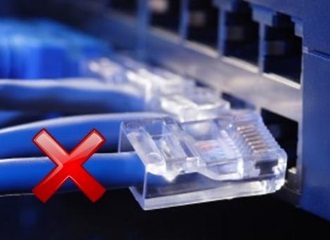 If you have one cluster, it’s doable, but when you run multiple clusters, it’s easy to get confused, forget VM’s or have the wrong rules in place. And there is no reporting on them. Who configured what for which VMs where? This is where Cluster Rules Manager comes in. 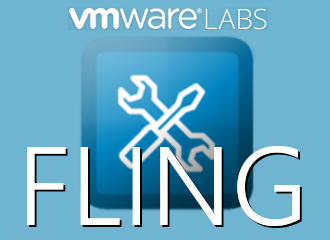 This fling even has the ability to export and import DRS rules between vCenters. From the makers: It can be operationally challenging to maintain vSphere DRS rules. Cluster Rules Manager (CRM) is a web application which enables users to easily manage & report DRS rules. Real time complete DRS rule report containing various intelligent metrics. The user can choose to generate this report on entire vCenter, datacenter(s), or cluster(s) level. This report can be exported. Real time VM-Rule association report. Here the VM will be the focal point and the report will give all the associated rules with that VM. The user can choose to generate this report on all the levels i.e. entire vCenter, datacenter(s), cluster(s), host(s), or VM(s) level. This report can be exported. This fling is not really in installable. It’s a JAVA package. I would recommend that you build a small Linux VM to run it on as this is the easiest way to do it and keep it running. You can also run it on Windows but it will take you slightly more time to set it up. This fling has been around for quite some time. In fact, it’s going into it’s third year! 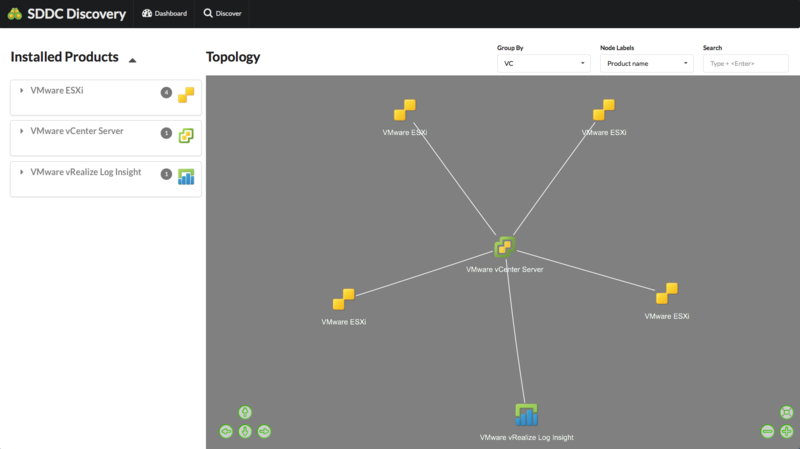 The VMware OS Optimization Tool aimes to analyse and optimize Microsoft Windows ™ for use with VMware Horizon. But I’ve been told you can also use it to optimize that one Windows desktop VM you have running in your Workstation or Fusion install. From the makers: The VMware OS Optimization Tool helps optimize Windows 7/8/2008/2012/10 systems for use with VMware Horizon View. The optimization tool includes customizable templates to enable or disable Windows system services and features, per VMware recommendations and best practices, across multiple systems. Since most Windows system services are enabled by default, the optimization tool can be used to easily disable unnecessary services and features to improve performance. The vSphere Content Library has been around since vSphere 6. The idea is that you have a central repository for all your ISO’s, VM Templates and that you can replicate between vCenter’s and sites. In the past we’ve all made loads of templates because it saved you time. Bake a Windows VM, run all servicepacks, updates, standard configurations and setups, convert it into a template and save yourself an hour or two the next time you need to deploy a VM. The Content Library can do the same thing, but much more intelligent. It can host ISO’s (remember that old ISO share? You can dump it now), templates, vApps and more. But converting your current base into that Content Library is a pain which is why most people didn’t bother. It works fine as it is so why should we invest the time. That is, up to the point where you create a second datacenter and you start all over again creating templates or you export and import all those templates and ISO’s one by one. So this is where the vSphere Content Library Assistant comes in. It’s a tool that can convert your VM’s into OVFs that can easily be imported into the Content Library which you can then replicate to another vCenter or site. Run it once, enjoy forever (or sort of). This tool is written in JAVA so as long as you have a JAVA Runtime Engine (JRE) installed, you should be able to run it on Windows, MacOS/OSX and Linux alike. This is the only non-VMware tool in this lineup but I still wanted to mention it. RVTools has been around for a long time. 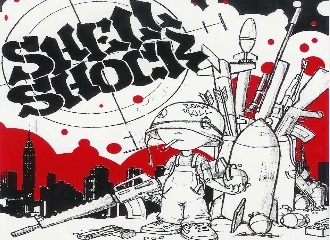 In fact, it’s running up to its ninth anniversary this year as it saw the light of day back in 2008. With this tool you can very quickly find the specifics about one VM or about a whole range of VMs. The tool collects a load of configuration information and displays it in a simple tabbed interface. It even allows you to perform specific simple tasks like disconnecting those CDROM images we always forget or check if we have our patchlevels and VMtools updated and aligned. With RVTools it’s just a couple of mouseclicks away. And the best thing is, it’s compatible with almost every vCenter you can find and it’s totally free! From the maker: RVTools is a Windows .NET 4.0 application which uses the VI SDK to display information about your virtual environments. Interacting with VirtualCenter 2.5, ESX Server 3.5, ESX Server 3i, ESX Server 4i, VirtualCenter 4.x, ESX Server 4.x, VirtualCenter 5.x, VirtualCenter Appliance, ESX Server 5.x, VirtualCenter 6.0, ESX Server 6.0, VirtualCenter 6.5 or ESX Server 6.5 RVTools is able to list information about VMs, CPU, Memory, Disks, Partitions, Network, Floppy drives, CD drives, Snapshots, VMware tools, Resource pools, Clusters, ESX hosts, HBAs, Nics, Switches, Ports, Distributed Switches, Distributed Ports, Service consoles, VM Kernels, Datastores, multipath info, license info and health checks. With RVTools you can disconnect the cd-rom or floppy drives from the virtual machines and update the VMware Tools installed inside each virtual machine to the latest version. So, it’s a .NET tool, therefore you need Windows to run it. Other than that there are no real restrictions. For the screenshot I ran it on Windows 2012R2. It might look a bit dated, but the information gathered is grand and displayed in a fast and logical manner. So there it is, your updated list of tools you can use for those inventory, troubleshoot and migration challenges. Did we miss one? Do you have a tool to add you use every day? Let us know! Drop us a message via Facebook or Twitter and we’ll add it to the list!